Hello and welcome! If you notice something different that’s because I’ve made a big change! I decided to no longer run my business and personal sites separately. It was entirely too time-consuming and with all of the things I have coming up this year, it wasn’t going to be manageable. So instead of putting myself in a position to run two sites inefficiently, I decided to cut the cord on one. The Richness of a Simple Life is still up and running but you won’t be seeing any new content there moving forward. If you enjoyed following me there, you’ll still like what I have to offer here. I’m just much more clear on the direction I’m taking. The Richness of a Simple Life was a place for me to inspire, empower, and uplift others by sharing my story. It was my personal space to share my story. There was no pressure and I felt comfortable with the community I’d built. 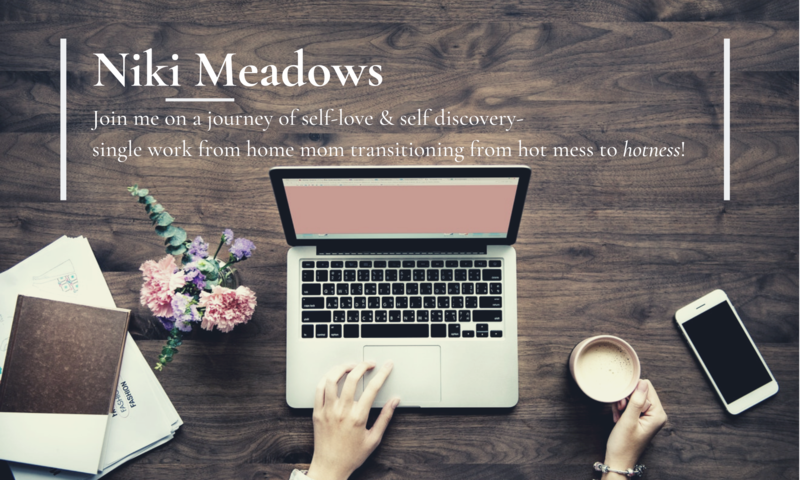 I was starting to feel constricted with my business blog because I put pressure on myself to be a little more buttoned up (attracting potential clients and all). The thing is, writing is a way for me to express myself authentically. I enjoy my stream of consciousness style of writing and I’m grateful you enjoy reading it. While it makes sense to give off this ultra-polished and professional vibe for the sake of attracting potential clients, that’s just not how I roll. I know one of the perceptions of a life coach is that they have it all together. If that’s the kind of person you’re looking for, I’ll save you the disappointment because that’s not me. I’m not going to make my life seem more glamorous, put together, or perfect than what it really is. I’m going to continue to write from my heart. I’m going to continue to bring you on this journey with me. I’m going to continue to guide those who are open and willing to be supported by someone who is dedicated to the process and a little further down the road of self-love, self-acceptance, and self-discovery than them. I’m going to continue to let you see me as I grow, stumble, and get back up. You’ll see who I am as I share my journey with you. I’m rough around the edges, continuing to learn not to take myself so seriously, write what’s on my heart, go with my gut, follow my heart, and start before you feel ready kind of person. I’ll share my story in a way that those who are meant to read it will resonate with it. I’ll talk about the uncomfortable but important aspects of the journey of self-love, self-acceptance, and self-discovery. I’ll encourage you to embark on that journey for yourself, think of things in a different way, and engage in conversations you might not be having anywhere else. At the end of the day, I share what I feel led to. I write to a predominately female audience because I know 9 times out of 10 it will reach the woman who needs to hear it in order to own her story. For all of you Simple Life lovers who have supported me along the way, I want to thank you from the bottom of my heart. Meeting and connecting with you over these past two years has been more meaningful than I ever could have imagined. To those of you who feel like this is where our paths diverge, I get it. Before I clicked the button and made the switch, I knew that I ran the risk of losing a portion of my following. With growth comes change and not everyone will be here to see it and that’s ok. I can’t let the numbers dictate the direction I take and for that reason, I lovingly say goodbye to those who won’t continue to join me for the journey. It’s been real and I’ll treasure our conversations. To those who will, thank you. I’m looking forward to sharing what 2018 brings my way and hearing how it unfolds for you. Whether you’re new here or have followed me for years, I want to say hi and ask you to introduce yourself to the community in the comments. Share a little something about yourself so that others can get to know you. There’s empowerment in connecting with those who understand you without knowing you. So don’t be a wallflower, at least share where you’re from, what you blog about, and why you’ll be staying for the journey. Sending you lots of love and wishing you all that you need to support you on your journey of growth! “Writing is a way to express myself authentically…” Absolutely agree. Hi, Niki and a very Happy New year. I always enjoy your blogs. So keep writing My name Joy and I am from Mumbai, India. My blog is about experiences of the journey called life and how we can make it better by understanding it better. Lots of Love from me, hope to have a great journey ahead. So nice to meet you.Thank you so much for your kind words. I appreciate the support and look forward to the journey 2018 has in store for us. Wishing you all the best, Joy! Thank you so much. I am sure it will be a great journey. Well, to begin, I’m not a woman (I’m a dude) but I fully support you in your new endeavour as I am doing the exact same thing. Coincidence? Synchronicity? The new us… the new year. haha that’s ok. My audience is 90% female but I love that I have a supportive base with the dudes who follow 🙂 Wishing you all that you need to support you with your own switch! Happy 2018! Your decision makes sense to me! Hi! I’m Courtney, I’m a coastal California girl, and I write about my life in recovery from addiction, what my past was like, what my journey looks like today, and where I hope to be headed. I’m super excited to have recently found this blog, and I will definitely be sticking around. Happy New Year! for someone just starting out sharing their blog, it’s a littler nerve wracking putting yourself out there. do you have any tips on how to bring traffic to your site? any game changers? 1. give what you want to receive, if you want likes/comments then go in search of blogs and like posts you genuinely like and comment on ones you resonate with. 2. give without the expectation of receiving in return. A lot of times people will follow your like or comment back to our blog, if they do, great! If they don’t that’s ok. Engage with the intention of building a connection. 3. don’t let the numbers dictate what you do. Share the message that you’re led to share regardless of how many people see it. Serve those who are there to support you the best you have to offer. I really liked this perspective. I want to find my blogs and read more stories, and I think now that I’ve just started paying attention to traffic that I’ve started to wonder how will I reach any audience? or who cares to read what I write? But even if no one reads it, I have to write because I can’t not write. thanks so much for this sweet advice, here’s to a new year of blogging and I hope you have a lot of joy this year! What a great way to start the year although I know how hard change is too! This will be amazing for you! Thank you, I’m so excited! I was a little sad but ultimately I know that I’m just making room for great things to happen this year. Next PostNext 2018- the year of the butterfly|Are you ready to spread your wings?